Frequent Flyer: Which miles to chase? For the average traveler, figuring out the best way to use frequent flyer programs can be both simple and complicated: Figuring out which airline to fly is simple, but chasing and using points through a credit card can be a real puzzler. Herewith my views, targeting average travelers; road warriors can skip this column and go right to the sports or style section. Which Airline? For many travelers, this is a no-brainer: Concentrate on the line you fly most of the time. A few thousand points in three or four different lines are worthless. If you live in Charlotte, chances are most of your trips are on American. If you live in Atlanta, you’re pretty much locked in to Delta. If you have a lot of airline options, Alaska is tops for occasional and moderately active travelers if it works at all for you. 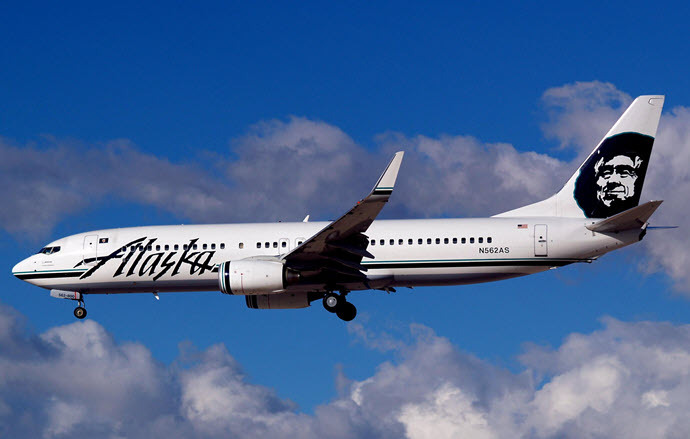 In a recent report from IdeaWorks on availability of award seats for frequent flyer credit, Alaska scored a high third, behind Southwest and JetBlue. But both top lines base award credit requirements on the current cash fare for every flight, so both lines can offer close to 100 percent availability. Alaska, by contrast, still adheres to the traditional award chart basis for credit requirement, and its high availability score means you shouldn’t have a lot of trouble finding award seats when and where you want them. It also has useful international partners. Equally important, Alaska scored tops in “payback,” the ratio of how much you have to spend on airfares to generate enough credit for a free trip. At 11 percent, Alaska was notably higher than Southwest at 9 percent, JetBlue at 8 percent and the others at 3 percent to six percent. If Alaska doesn’t work for you, Southwest and JetBlue beat the other lines, but they offer no award flights to foreign destinations. For worldwide awards, Delta and United offer slightly better payback than American or Air Canada. Folks who live and breathe credit card miles — and you’d be surprised how many of them there are — generally figure each airline mile is worth between 1.1 and 1.8 cents. And if you use them for cash, they’re worth less than 1 cent each. The value figures are based on how many miles you need to score an award seat at the lowest “saver” level, compared with cash fares, and even on the most generous lines you can’t count on a seat exactly when you want to fly. By contrast, you can buy a ticket with cash for any available seat, and if your card gives you a 2 percent cash rebate, you do better buying a ticket than by trying for a less certain award seat and paying with less valuable miles. The main exception to the “fuhgeddaboudit” rule for credit card miles is using your frequent flyer credit toward premium-class flights. A business-class nonstop round-trip from Chicago to Europe in mid-June posts at around $8,000, for example, compared with about $1,000 in economy. But a business-class award requires as little as 120,000 miles, compared to as little as 60,000 miles in economy. Clearly, if you want business class, chasing miles is the best way, although finding business-class seats to Europe or Asia can be a real challenge. As another bit of offset, those credit cards that earn airline miles typically include other features, such as a free checked bag or an occasional lounge pass. But those features are aimed at fairly frequent travelers. For the occasional traveler, the cash-return card is clearly a better deal.